So what on earth are they doing? 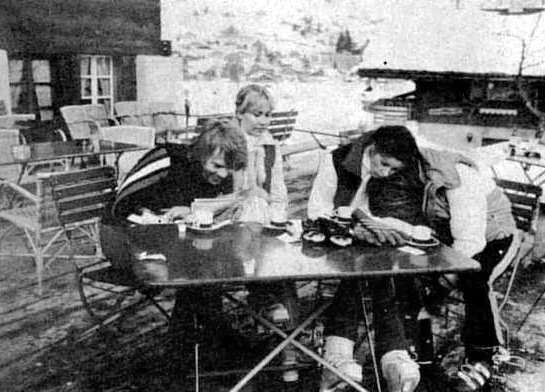 ABBA being very unaware of a camera and anything else while in Leysin, February 1979. Looks like Benny lost his contact lense in Frida's pants. Three of them look like the're having fun. And what about Bjorn.. I guess he augurs his fortune in a cup of coffee!!!! !